Keep Omaha Beautiful fosters environmental and community stewardship through education, service, and advocacy. 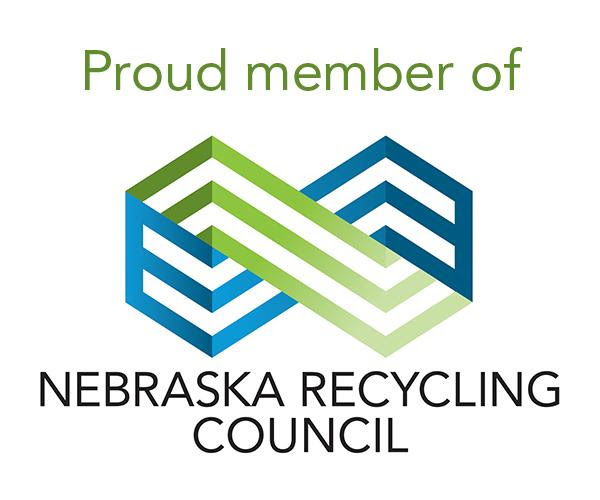 Keep Omaha Beautiful, one of the oldest environmental nonprofits in Nebraska, dates back to 1959 when Mary “Deanie” Anderson founded the organization under the name City Beautification Unlimited. Shortly after, the name changed to the Mayor’s Committee for City Beautification, Inc., and then officially became known as Keep Omaha Beautiful in 1964. Ms. Anderson served as the executive director until her death in 1990. At that point, Cindy Smilley became the second executive director and moved the office from the Omaha Livestock Exchange Building to the Omaha/Douglas County Civic Center. Ms. Smilley led the organization for 25 years. After her retirement in December 2015, the Board of Directors selected Chris Stratman to take over the role. Since the beginning, Keep Omaha Beautiful has always focused on environmental and community stewardship. 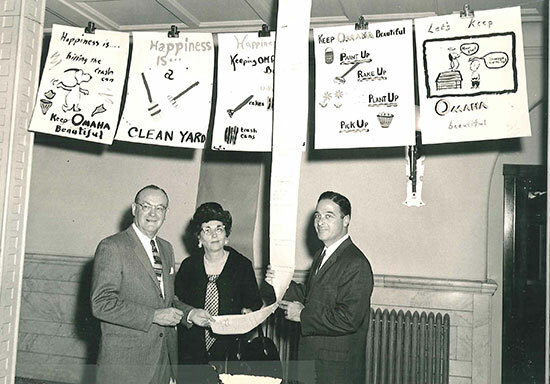 At an Omaha Home Show event in the early 1960's, the founder of Keep Omaha Beautiful, Ms. Deanie Anderson, poses with Mayor Alexander Sorenson (left) and another community member with signage overhead. Keep Omaha Beautiful is an affiliate of Keep America Beautiful. There are 22 affiliates throughout Nebraska. With the support of our partners, Keep Omaha Beautiful is able to expand our mission efforts all across the city. We are honored to partner with the following organizations.